I don’t cover the Mazda Road to Indy at The Apex any longer but that doesn’t mean I don’t still maintain an intense interest in all three series and the young drivers that are given a chance to shine because of it. While it’s drivers that are most often in the spotlight, teams deserve recognition too. 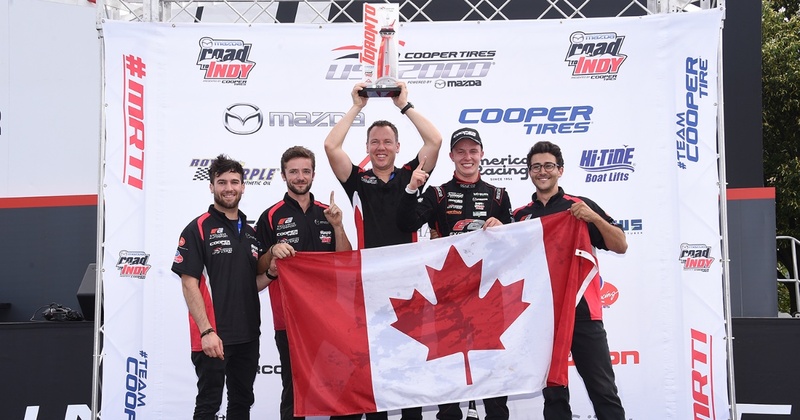 Exclusive Autosport embraced its first season in USF2000 with gusto and Thompson’s sweep of both Toronto races vindicated those efforts. Credit also goes to Andersen Promotions for bringing new cars to both USF2000 and Pro Mazda and ensuring that moving between the series is as easy as possible by using the same base chassis for both the Tatuus USF-17 and PM-18. I feel like this is one of many great stories to come out of the Mazda Road to Indy this year and St. Petersburg is still over a month away.